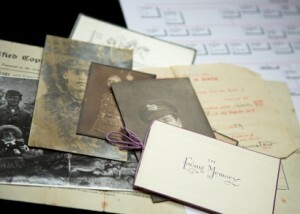 If you are at all interested in family history, then there is a likelihood that you have some old slides lying around. Or, it could be that you have hundreds of old slides lying around. Whatever the situation, there are ways in this digital age to convert your old slides into digital format in order to view them easier, and have a way to print those photos. If you are thinking of scrapbooking your old slides, then the first step is trying to figure out the best way to convert them to a digital format. There are lots of options. I will explore a few of them in this article, and depending on your needs, you can determine which option might work best for you. A slide attachment for your scanner is one option. If you already have a scanner, then one simple idea is to buy an attachment for your scanner that will help you to scan slides. If purchasing a new scanner, make sure that it comes with a slide attachment. If you do not have very many slides, then this might be a good option for you. Scanning is time consuming. Each slide is loaded separately into the scanner, and then you often have to do some editing with some sort of photo software like photoshop afterwards. So, if time is of the essence, then you might want to think of another option. In addition to a slide attachment, there are devices out there now that can convert both 35 mm film negatives, and slides to digital photos. For this option, you need to do your research. These devices can have prices ranging anywhere from $40-$200. They are stand alone devices that do not need any additional equipment to convert the slides to digital format. If you are facing thousands of slides to convert, then you might want to think of yet another option. You can either pay a service to do this for you, or buy an attachment for your digital camera that will help you take pictures of your slides in a way that is quick, and fairly simple. Paying a service to convert your slides can be pricey. You want to make sure that you choose a company that has a good reputation, and that you can trust your precious slides with. Not all services are the same, and some can produce a result that is less than satisfactory. Often, slide images can be converted and you end up with a grainy picture that looks nothing like the original. Choose a company that is using high quality equipment to do their conversion. Last, you can buy attachments for digital cameras such as the Nikon and other DSLRs, to actually take pictures of slides and thus convert them into digital format. This requires a specific type of lens as well to do this. In addition, you have to purchase an extra tube extension. So, getting all the right equipment to make this happen, may also be an expensive option. However, if you need to convert a large quantity of slides, then this could be a good option for you. For an article that explains this in more detail, go here. Converting your slides to digital format is possible. The key is to do your research and determine which of these options is right for your needs.